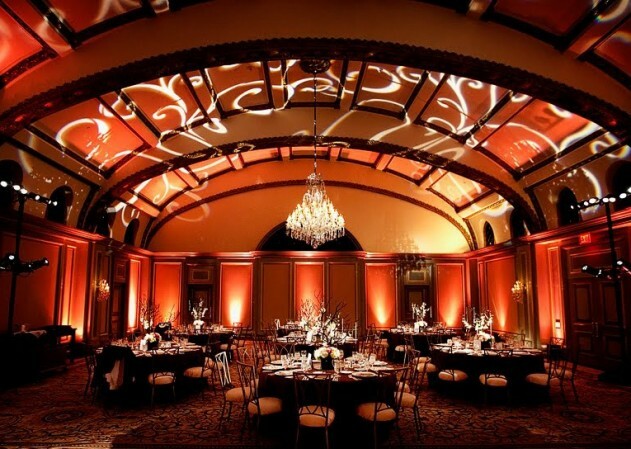 Bliss Entertainment Event Group utilizes intelligent lighting systems that are fully customized to each event. We use new LED lighting technology and are current with industry trends. Our lighting design team uses current LED lighting systems that are found in many professional venues. Bliss has full control to create beautiful mood lighting effects, elegant spotlights (used in special dances and entrances) along with high energy lighting scenes designed to sync with the intensity of the music. With our experience in Intelligent Lighting, we have the ability to control & design the light fixture colors, patterns, speed, intensity, brightness, and will carefully lightscape your space to match your celebration colors.